A website link to free DIY programming instructions will be provided with every order. You need to get this key cut at your local locksmith prior to programming. You must already have 2 working unique (not cloned) keys in order to perform DIY programming. 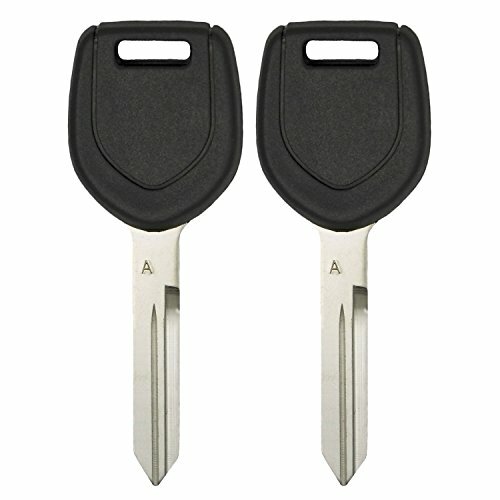 If you do not have 2 working unique (not cloned) keys then you will need to get this key programmed by an automotive locksmith or dealership. Make sure blade on your original key looks identical with the same grooves as on our picture. These keys are NOT ABLE TO BE CLONED. If you have any questions about cloning please contact us before you purchase. 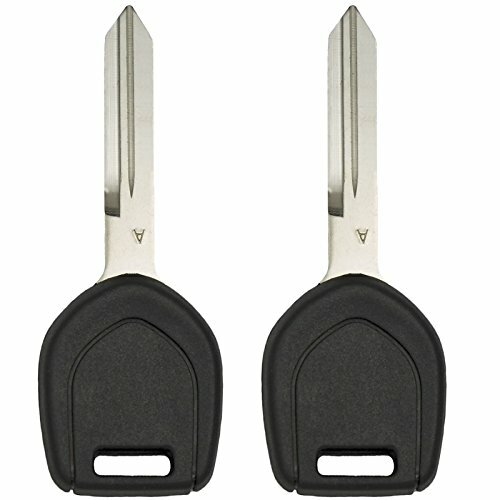 This listing is for 2 brand new uncut transponder keys for select Mitsubishi vehicles. Please check product description for vehicle fit guide. Please make sure blade on the original key is identical with the same grooves. A website link to free DIY programming instructions will be provided with every order. 2 original working keys required in order to do self-programming. If you do not have 2 keys, you will need to get this key programmed by an automotive locksmith or dealership. Vehicles 2000 and 2001 years are NOT self-programmable and must be programmed by a dealer or automotive locksmith. 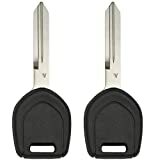 Keyless2Go New Uncut Replacement Transponder Ignition Car Key MIT16A-PT (2 Pack) out of 5 based on ratings. This entry was posted in Keyless2Go and tagged 2, Car, Ignition, Key, Keyless2Go, MIT16A-PT, NEW), Pack), Replacement, Transponder, Uncut.